It's wash and go season! I have already been attempting my regular old wash and go style for a few weeks and my ends are terrible! I'm developing horrible hands in hair syndrome! The little knots drive me crazy. It looks ok, and is mostly soft but I need a serious trim/cut. I will go for an appt next week, and also decide on getting new highlights. Here's how it's been looking (one shot is a length check). 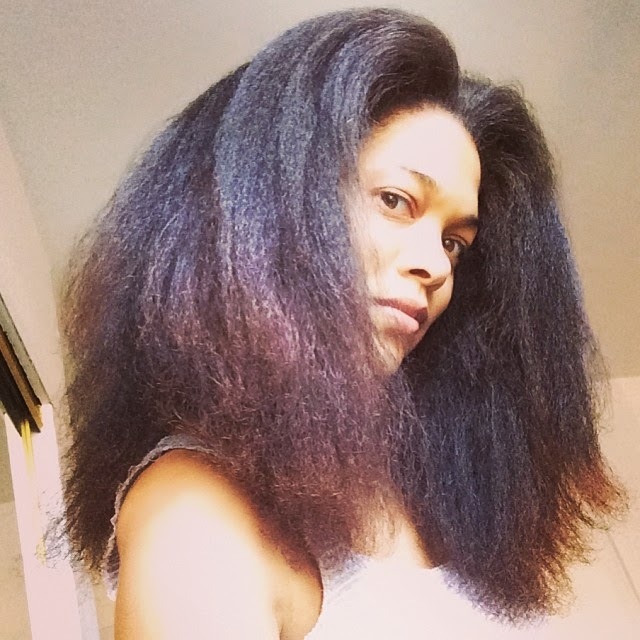 wow---your hair is simply beautiful!---so glAD I found your blog--now all i need to do make my hair twisty kurl like yours---remain blessed my friend!!! I love your hair in the second picture. Absolutely gorgeous. I think your hair looks great! Can't wait to see what highlights you wind up with. I love these pictures! I just watched the vlog from CurlyChronicles where she mentions your blog, so I came here to check it out. I'm definitely saving this site my favorites. You. Are. My. Hair. Twin. I'm glad I found you. For some reason it's hard to find just my texture on hair blogs, forums, youtube, etc. Have you had the same trouble? I will look to you for guidance on styling and products. Which technique and products did you use for the above style? How long do your wash and go's last? How do you protect your hair at night? What do you do to revive the style in the morning?